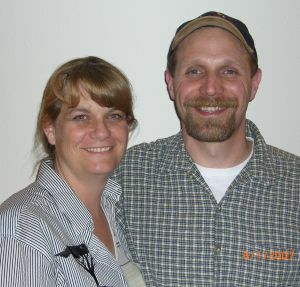 Glenn and Marjorie Broce, in Colorado Springs, Colorado are moving to begin missionary work in Guatemala in March! Glenn and Marjorie write, "We have been wonderfully aligned with a family in our church who has a ministry in Guatemala, serving orphans by having an orphanage and caring for widows, building them homes. God's heart is so loving. He has shown us his heart. We will be serving at the orphanage, learning everything we can about running one, as well as organizing teams from America who come on a monthly basis." The story in the gospel where Jesus fed five thousand men and much more women and children with five loaves of bread and two fishes supplied by a young lad is fascinating, to say the least. What intrigues me is this - at what point did the bread and two fishes increase to such a gargantuan dimension as to be able to feed that number of people? Definitely, it was not before Jesus blessed it and not before the sharing took place. So, it seems to me that the miracle began at the point of sharing. It defied every known law of science or practicality. The act of sharing sparked off a supernatural move of God. It kept multiplying as long as the sharing was going on. Therefore, if there was no sharing, there would have been no miracle. The same principle works in our lives. Our gifts and talents remain as they are until we start using and sharing them. As soon as we begin to share them, they begin to multiply and increase. As we become a blessing to others around us, we deepen the base and widen the scope of our calling. The greater the use, the greater the uses. The greater the sacrifice, the greater the service and the better the gift becomes. Until you share it, it's just ordinary. Constant use increases the value, deepens its ability to affect and increases its capacity to bless. There was the story of this talented singer who fell on a bad time. She was reduced to singing in run-down, ram-shacked bars around Las Vegas, Nevada, for $50 or $100 a night. Her self-esteem and confidence sank. She no longer believed in her ability to sing well again. One night a musicologist stopped by at the bar she was singing. He heard her sing. Her performance was pedestrian, to say the least. But he picked a whiff of her real capacity in that ordinary performance. Though battered, shaken and unpolished, the man saw through it all to the precious stone that was within. She was like a rough, uncut diamond. He asked her to have a drink with him at his table. He told her, I see a star in you. She shut him up pretty quick, saying, "I am no good anymore." He convinced her he could help her get back to form and use his contacts to get her a record deal. She wouldn't believe him and said, "Honey, don't you worry about me. I will survive." Not succeeding in changing her opinion of herself, he asked her, how much do you make a week? Seven, eight hundred dollars, she replied. He took out his wallet, counted three thousand dollars and gave it to her. Give me a month. If l don't bring out the best in you, come back here. She followed him. He took her to Los Angeles, California and got her a voice trainer who worked with her twelve hours a day. At the end of the month, he got her a chance as an extra act to sing just a number at a jam-packed concert. Guess what? She had the crowd on their feet begging for more. By the time she came down from the platform, there were several record company executives asking to sign her on. Within a year she went from a low-life, run-down bar singer to become a national heroine, singing coast to coast and winning many awards. The law of use says, use it or lose it. When you begin to use and share your gift, it becomes more because the more you use, the more you have. Hi brother, this Rajakumar from India, praying for your mission trips to all the world. Please pray for my ministry in India.